Have you ever watched a frog hopping along in front of you? Have you ever watched one really jump? Have you stopped to wonder how they possibly do it? 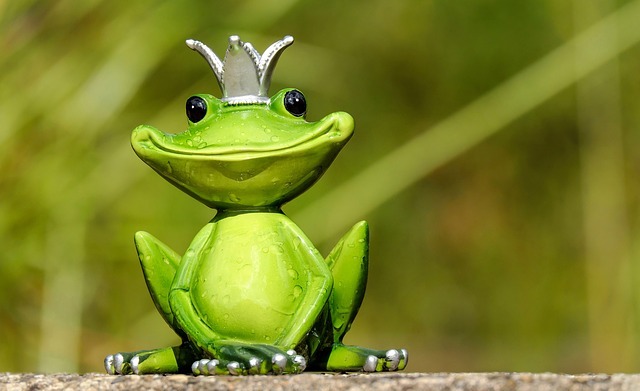 A frog can propel itself into the air at about 20 times its own body length on a good day. If humans could do that, we would soar about a hundred feet into the air! The longest frog jump on record ended at a shocking 33 feet and 5 and a half inches. So how did he do it? The answer might surprise you: scientists don’t really know for sure. Bummer! The leading theory is that the jumping prowess comes from the long tendons inside frog legs. Just before a jump, the tendons stretch taut while the muscles shorten. All the potential energy is stored in those tendons wrapped around the frog’s ankle bone, which then act as a spring to catapult the frog into the air after a quick joint movement. Muscles are important, but it’s the tendons and joints that work the real magic. Believe it or not, about 25 percent of a frog’s size is its legs. That’s probably why we eat them! The frog species studied for the purpose of the aforementioned research made the jump in about a fifth of a second. Pretty fast. This information helps explain why most humans are such lousy jumpers. Not only are our leg muscles much more miniscule in proportion to our overall mass, but our tendons don’t have the mechanical capability to act as a spring either. On top of that, our joints aren’t built to weather that kind of spring-like landing even if our tendons and muscles were up to the task. Just imagine what it would feel like if you fell from a hundred feet! The kind of strain caused by the relationship between mass and gravity is the biggest biological contender to high jumping. Grasshoppers can jump high. So can cats and kangaroos. But the ability of the latter two animals is much more restricted because of their larger size. We can only jump so high before the landing would kill us. All that aside, strengthening your leg muscles can help reduce the strain on your leg joints and tendons. You’re less likely to incur injury from overuse during exercise if you’ve properly trained your muscles. Think like a frog! Work on those leg muscles!